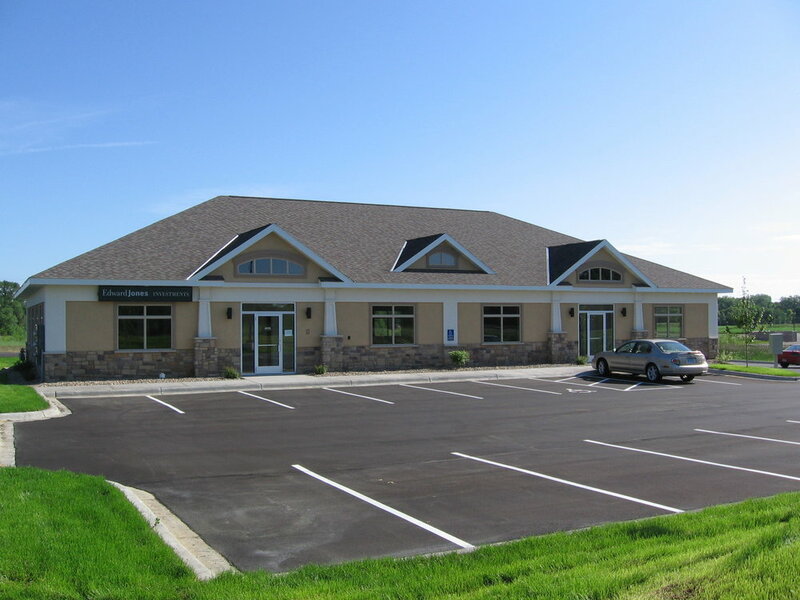 Watab — Lyon Contracting, Inc.
Watab Professional Centre is a one (1) story commercial office building consisting of 4,800 total square feet. 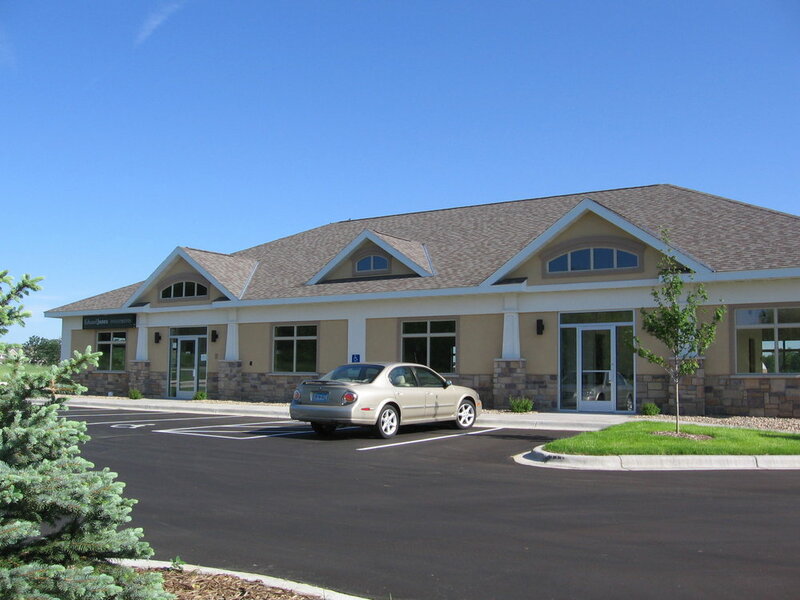 Building Description: Upscale stucco and stone design with large windows and cross-gable roof. Vanilla shell, to include concrete floor, sheet rocked, taped, sanded and paint-ready walls, 2' x 4' acoustical tiled ceiling, finished common area restrooms, weather protected vestibules, HVAC to the suite, plumbed wet bar potential, convenient free parking, beautiful landscaping.